First things first, a huuuuge thank you to Sophie from Lipstick and Love Hearts for the nomination. I am absolutely chuffed! This is my third award and they sure do put a big smile on my face, as it's nice to know that people enjoy reading! I definitely recommend browsing through Sophie's blog, I absolutely love it, and have been especially keeping an eye on the Lipstick of the Day posts, which have made my make up wishlist grow sooo long! 1. 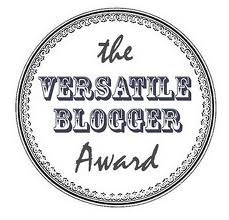 Thank the person who gave you this award, and leave a link to their blog. 2. Tell the person who nominated you 7 things about yourself. 3. Select 15 blogs/bloggers that you've recently discovered or follow regularly. 1. I was supposed to meet Ed Miliband once, but got too distracted by an all you can eat buffet and accidentally missed him. 2. I am fascinated with certain infamous British criminals, such as the Krays and Charlie Bronson. Not many people actually know this about me. 3. I sleepwalk and talk, and rarely find that my brain switches off. I even attempted to cook a meal in my sleep once!? 4. I'm probably one of the most organised people you could ever meet, with endless lists and schedules and a filofax full to the brim. It bugs everyone! 5. I'm always freezing, regardless of the weather or what time of year it is. 6. 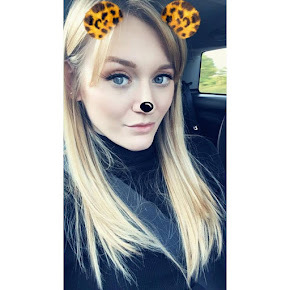 For about two years, I kept being asked by random members of the public if I was Michaela from Hollyoaks (only you from the UK will probably know who I am talking about) and once it got so bad I got chased into the toilets by Hollyoaks obsessed Mums in a multi-storey soft play area where I live at home. 7. I am obsessed with anything that has a swallow or Bambi deer print on it! Thank you again to Sophie for my nomination, and I hope you all enjoyed learning a little more about me. I hope I don't sound too weird! Love your facts very funny, really enjoyed reading this!! especially number 1 - love a buffet a especially chinese :D our absolute favourite!! Based on number 2 do you like a good horror film? Thank you, I'm glad you were happy to be nominated! No it's really odd, I can't stand horror films at all. But i love the film about the Krays and "Bronson" with Tom Hardy in but I wouldn't say they are horror... Can't wait for the new Krays film with Tom Hardy in he is my favourite! Thanks for the nomination! I've just completed it so it should be live on my blog now. I'm excited for the Krays film, I love Tom Hardy a little bit too much!